Many of you know that I didn’t have time to write and trade because of personal issues. I launched this account on XM. My account manager called me some weeks ago that they will change the leverages from 08.01 to lot lower (50:1 and 30:1). This is not good to me if I want to earn $1,000,000 fast. As I wrote I have some problems in my family, so I knew that I will not trade. I closed all the trades (with loss) and withdrew the rest of the account. This way I made only 41.56% profit. I’ll create a new account soon on LMFX or GrandCapital soon. I also paused this project because of the same. I knew that I’ll unable to control the accounts, so I closed them. I’ll restart it in August. The group investment account is still not closed and moved to the new bank. I wrote some mails about it earlier that the new leverage requirements and the break because of my personal problems occurred that this sill not solved. Now, I have to double the account value before I close it (this is a huge amount). I have to borrow money from my companies and receive fresh investments from the VIP members to solve this issue fast. My new broker bank do not have to follow the new European leverage rules so I will able to trade with higher leverage in the future too. I contacted my “students” through e-mail in the last some weeks. Some of them replied, some of them not. The course is still on, so if anyone want to learn my trading strategies, just contact and start to learn. Do you have any question? Just contact me! 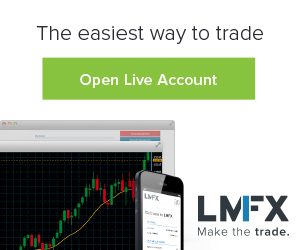 LAMM investment option is back – START WITH $25 INVESTMENT!